^ Mitchell, Tom (December 28, 2009). 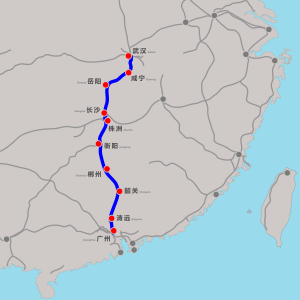 "Chinese Harmony train sets speed record". Financial Times. http://www.ft.com/cms/s/0/1eed4d72-f351-11de-a888-00144feab49a.html Retrieved December 28, 2009. ^ "Record-breaking Chinese rail opening piles pressure on airlines". The Independent. December 25, 2009. Retrieved December 26, 2009.